During OMD’s post-Dazzle Ships writing period, confidence was at an all time low for Andy McCluskey and Paul Humphreys. Although they had returned to writing following the Dazzle Ships tour, they were unsure if what they were producing was of a sufficient standard. Retreating to Highland Studios in Inverness, the pair began writing again. 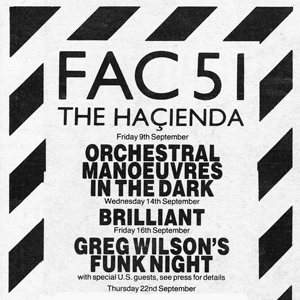 At this stage some of the early Junk Culture material started to emerge, including the instrumental written on the Emulator that later became the title track of the album. 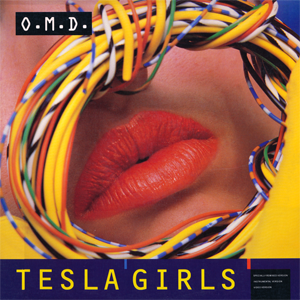 But the writing sessions also produced what would later become a classic OMD single, the electropop perfection of ‘Tesla Girls’. The inspiration for the song had been Yugolsavian-born scientist Nikola Tesla – a largely forgotten figure in the early years of electrical technology, but who achieved his place in history for the development of the alternating current. This method of conducting electricity was safer than the direct current system developed by rival Thomas Edison and AC later became the default system used worldwide. As most electrical equipment utilised AC therefore, the lyrics of ‘Tesla Girls’ began as rumination on the use of everyday electrical equipment by women. In fact the title of the song had been suggested by fellow musician Martha Ladly as she had played around with the title as a possible contender for her own music. 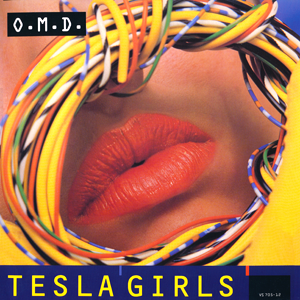 As a song, ‘Tesla Girls’ rapidly achieved the status of a classic OMD number. It was the first time that the band had experimented with the Linn Drum but also utilises instruments that they were already familiar with, such as the Emulator. But the song had gone through endless revisions and adaptations throughout the various sessions that made up the creation of OMD’s fifth album. Even by the time the band had returned from Montserrat, Andy McCluskey was still experimenting with new arrangements. In its earliest incarnation, ‘Tesla Girls’ was a very rough demo that was recorded in Inverness in 1983. It’s an interesting insight into the songwriting methods that the band employed at the time, essentially just putting simple ideas down through drum and bass patterns and working out which elements to leave or discard. The result is a slower, simpler version of ‘Tesla Girls’ that still retains a certain naïve charm. Maureen Humphreys provides the “No,No,No” sample that’s present and correct on the final versions, but the demo also includes an additional phrase of “X, Y, Z”. The choir and brass elements are also present, although not quite finalised. The song lacks the extended intro that marks out the classic 7” version and there’s a more subdued middle-eight, but this early live outing has all the elements in place that the band will polish up later. No official release, but some live recordings and bootleg versions exist. The band moved to The Chapel studios in Lincolnshire to begin honing some of the songs that they’d worked on in Inverness. It’s here that the final version of ‘Tesla Girls’ was recorded (and then later mixed at Mayfair Studios in London). Relocating to Montserrat towards the end of the year, the Junk Culture recording sessions continued. 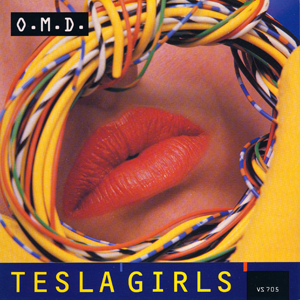 Andy McCluskey was still not convinced by the version of ‘Tesla Girls’ that the band had recorded at The Chapel and proceeded to record two new versions – as well as attempting to remix the original studio recording. Finally admitting defeat, Andy conceded that the Chapel version was probably the best that they could do and signed off on that version for the album. This version of ‘Tesla Girls’ displays a much more energetic approach with its brassy and percussive rhythms. It also uses the delayed vocal intro (“T-T-T-T-T”) that has become so associated with the song. It also runs a little longer than the version that would later be used for the single edit. The extended version of ‘Tesla Girls’ that appears on the 12” mix isn’t radically different from the versions found on the album and the 7” cut. This version has a longer intro and a few subtle edits and effects to extend the song, including an additional verse with an extra line (“But they’re immune, just watch me try”). During the final mixing sessions for Junk Culture, OMD were working at Wisselord Studios in The Netherlands. An orchestra were also recording at the same studio and had been working on a version of the ‘Theme From Shaft’ in an adjoining studio. Apparently OMD “borrowed” some samples from the orchestra, which were then thrown into a new arrangement of ‘Tesla Girls’ they were working on. This version is radically different from all of the preceding recordings of ‘Tesla Girls’ as it adopts a much darker musical palette to paint from and has a much looser arrangement, although it employs a lot of the classic elements, such as the brassy stabs that are on the original. This version was released a few weeks after the initial 12” release as a 4 track EP, presumably in an attempt to give the song an additional boost. The release was issued in the same sleeve (and label) as the original UK 12” version, although it had a prominent blue sticker on the front flagging up the ‘Extra Remix’. 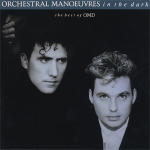 It was also released as a cassette, marking OMD’s first non-album cassette release in the UK. The US 12” release of ‘Tesla Girls’ keeps things interesting by introducing a different version of the ‘Extra Remix’ (here titled ‘Specially Remixed Version’). It’s the same basic version available on the second UK 12” release, but this mix runs approximately 20 seconds longer and the arrangement of the song is also different. Also included on this release is an instrumental version of the remix, except it’s a different arrangement yet again (which we’ll come back to). This release also includes a mix that’s titled ‘Video Version’. To all intents and purposes, this mix sounds identical to the traditional 7” mix. It’s plausible that the title of the mix is to alert US fans to the version that they may have been more used to seeing in the promo video. This version of ‘Tesla Girls’ originally appeared on the 1988 Best Of OMD compilation. It’s slightly longer than the original 7″ release, although shorter than the album version that appears on the 1984 album Junk Culture. German electronic musicians Blank & Jones issued a series of compilation albums during the naughties that featured many 12” mixes for a variety of artists that had been associated with the 1980s music scene. 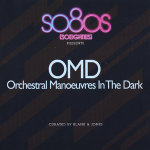 One of these was a special OMD compilation released in 2011 which brought together a lot of the original 12” mixes on CD (many for the first time). This album doesn’t include the traditional 12” mix of ‘Tesla Girls’ but instead uses a unique mix of the ‘Extra Remix’ version, again by rearranging some of the elements of the original mix. However, the 1984 US 12” release (see above) features an instrumental version of the same remix that’s included here on the So80s album. 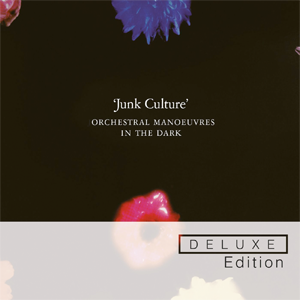 With the 2015 reissue of Junk Culture, it was thought that there would finally be an opportunity to present a cohesive selection of the album’s various B-Sides, lost tracks and extended versions. However, this was the point at which some controversy erupted. 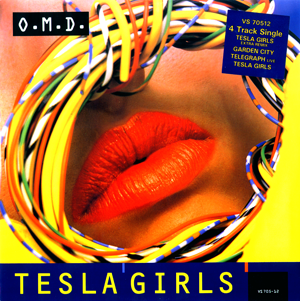 There were some slight edits to two of the tracks that featured on the remastered disc of the original album – including what should have been the album version of ‘Tesla Girls’. The delayed vocal intro (“T-T-T-T-T”) is missing, which makes this version of the song unique to this release. The chronology of this version is a little unclear. Some fan theories suggested that the ‘stuttering’ intro had been removed because it sounded “dated”, but this seems unlikely for a number of reasons (including the fact that live versions keep that element intact). It’s more likely that this is yet again an alternate version that had originally been shelved. This leaves us with the obvious question: are there more versions of ‘Tesla Girls’ that remain unreleased? The answer is very probably yes based on the chronology of the recording sessions and the band’s continual attempts to achieve a satisfactory final version. This isn’t that unusual for OMD. In 1981 they penned a song called ‘Telegraph’, but then struggled with the song for the best part of a year to conceive an arrangement of the song they could be happy with. An early demo version from the Architecture And Morality sessions at Manor Studios subsequently turned up on the 2008 reissue of the Dazzle Ships album. Many other alternative mixes (admittedly most employing very minor edits) were unearthed, but discarded for inclusion on the reissue. So it’s not unlikely that more alternate takes on ‘Tesla Girls’ still exist in the vaults. 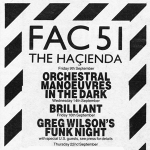 Like ‘Telegraph’, many of these will consist of subtle changes in the mix, but there may well be completely unique versions yet to grace OMD fan’s ears.